Updated – 04 January 2019 – There are lots of options in the market for a budget of Rs. 15,000. In this article, we have handpicked some of the best selling and highly rated Android mobiles that you can buy. Everyone has a different preference, so I have mentioned key highlights, pros, and cons of each phone to help you take the buying decision. I would suggest you go through the specs and details of each phone and shortlist 2-3 phones that meet your criteria. 64 GB Storage and 4 GB Ram – Price Rs. 14,999. 64 GB Storage and 6 GB Ram – Price Rs. 16,999. It comes with Dual Rear Camera with 12 MP + 5 MP shooter which is ideal for clicking portrait shots and landscape images. Also, the key highlight is the 20 Megapixel front selfie camera which can click detailed shots. Apart from the great camera, it offers FHD+ display and even has the fastest Qualcomm Snapdragon 636 Processor which is incredibly fast in comparison to other processors in the mid-range phones. Design – Premium Metallic build with iPhone X like design. Display Size and Type – 5.99 Inch FHD+ (18:9 aspect ratio) Display (2160*1080), 401 PPI. Performance – 1.8 GHz Octa-Core Processor, Snapdragon 636 with Adreno 509 GPU. Operating System – Android Nougat 7.1 with (MIUI 9.2). Camera – 12MP +5MP Dual Rear Camera with LED flash and Autofocus & 20 MP front Selfie Camera. Battery Life – 4000 mAH, Good Battery Capacity comes with fast charging support Q.C 2.0. Storage – 64 GB onboard storage, expandable to 256 GB via micro SD card. Connectivity – Dual Sim(GSM+ 4G LTE/VOLTE). Pros – Stunning Design, SD 636, Good Selfie Camera, Dual Rear Camera, FHD+ Display. Cons – No USB Type C Port, No dedicated micro-sd card slot. 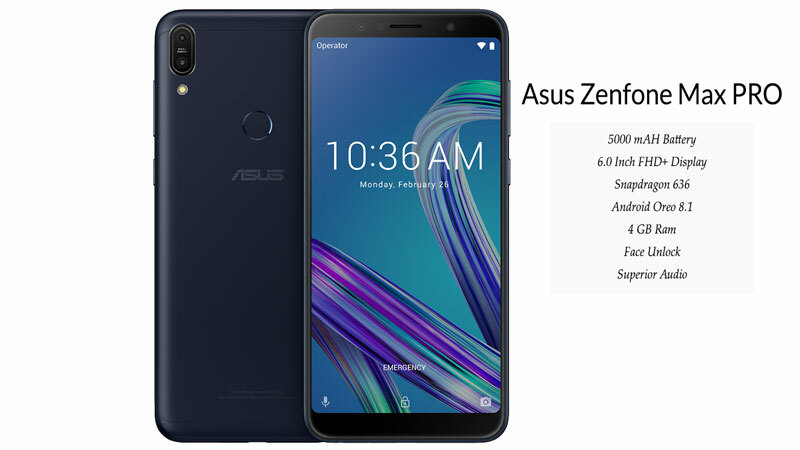 Good Long Battery Life Phone – Asus Zenphone Max Pro M1 6 GB RAM is recently launched in India. The phone is available on Flipkart for Rs. 14,999 and is one of the cheapest phones to come with 6 GB Ram and powerful processor. Powering the phone is an Octa-Core Qualcomm Snapdragon 636 Processor clocked at 1.8 GHz and comes with the Adreno 509 GPU. Aforementioned, there is 6 GB ram that makes it ideal for playing games like PUBG and Asphalt 9. The Key Highlight is its premium design and a massive 5000 mAH battery capacity that runs for 2 days. Also, the mobile comes with the latest Android Oreo 8.1 OS. Additionally, it offers 64 GB of internal storage and has support for 4G VOLTE. You can read the detailed review for the 6GB Ram Zenfone Max PRO M1 here. Design – Offers Premium Metallic build and is sleek considering large battery. Display Size and Type – 5.99 Inch FHD+ Display, 2160 x 1080 Pixels with 18:9 aspect ratio. Performance – 1.8 GHz, SD 636, Octa Core, Adreno 509, 6 GB RAM. Operating System – Android Oreo 8.1 with (Zen UI 5.0). Front Camera – 16 MP front Camera with f/2.0. Battery Life – 5000 mAH, Good Battery Capacity with fast charging. Storage – 64 GB onboard storage, expandable to 2 TB via dedicated micro SD card. Connectivity – Dual Sim (GSM+ 4G LTE/VOLTE). Pros – Android Oreo, SD 636, 5000 mAH Battery. Cons – Avg Build Quality. Best All Rounder Under 15k – Realme is a new Brand from Oppo and in just 4 months they have sold over a million phones making it quite popular with enthusiasts looking for specs loaded phone for a low price. The RealMe 2 Pro (Read More) offers best in class specs and is a killer deal for Rs. 13,999. The RealME 2 Pro comes with a 6.3 Inches waterdrop display that comes with FHD+ resolution (2340 x 1080 pixels). Also, there is Corning Gorilla Glass 3 Protection to keep the display safe. The phone has an iconic design and comes with over 90% screen to body ratio. The key highlight is the Qualcomm Snapdragon 660 processor clocked at 2.0 GHz and Adreno 512 GPU that makes it super fast for all tasks and gaming. Also, the processor improves battery life as it is energy efficient. Besides, the device has got 4 GB RAM and 64 GB internal storage plus option to expand the storage using a dedicated micro-sd card upto 128 GB. For photography, there are Dual 16 Megapixel rear camera and a 5 Megapixel secondary camera. At the front, there is a 16 Megapixel selfie camera to click detailed selfies. The mobile runs on the Android Oreo 8.1 and comes with the COLOR OS 5.2. Also, RealME has confirmed that the device will get the Android Pie 9 update. Design – Gorgeous Poly Carbonate design, Full View Display. Display Size and Type – 6.3 Inches Full HD+ Display with 2340*1080 pixels. Operating System – Android Oreo 8.1 with COLOR Os 5.2, upgradable to Android Pie. Camera – 16 MP Rear Camera + 5 MP depth Sensor & a 16 MP front Selfie Camera. Battery Life – 3500 mAH Capacity with 10 Watts Fast Charger. Storage – 64 GB onboard expandable using dedicated micro-sd card. Connectivity – Dual Sim support and 4G VOLTE. Pros – Full HD+ Water Drop Display, Fast Processor & Decent Cameras Cons – Color OS is not the best. Excellent Dual Camera phone – Xiaomi recently launched the Redmi Note 6 Pro in the Indian market priced at Rs. 13,999 ($235). The most notable feature of the Note 6 Pro is it’s Dual rear camera setup (12 MP + 5MP) that comes with a slighlty improved set of cameras than the RN5 Pro. Importantly, the Redmi Note 6 Pro comes with an F1.9 aperture lens for better low light imaging in comparison to f/2.2 on the predecessor. Also, at the front the phone has Dual Cameras (20 MP + 2MP ), that helps you click better selfies with background blur. The second key highlight of the device is that it runs on MIUI 10 and the latest Android Oreo 8.1 OS. The Note 6 Pro comes with an impressive 6.26 Inch Display and has FHD+ resolution. The phone has a powerful SD 636 Processor, ideal for gaming and offers a large 4000 mAH capacity battery with fast charging support. It is a robustly built (metallic) all rounder in the sub 15K segment. Design – Metallic Design, Robust Build. Display Size and Type – 6.3 Inches Full HD+, with notch (2280*1080) with 401 PPI, 2.5 D Glass. Operating System – Android Oreo 8.1 with MIUI 10. Camera – Dual 12 MP Camera at the Back and 5 MP selfie camera. EIS, AI, Portraits. Battery Life – 4000 mAH capacity battery. Fast Charging Support. Storage – 64 GB internal Storage, support up to 256 GB micro-SD (Hybrid). Pros – Great Dual camera setup, Fast Performance. Cons – Not really at the price. The Moto G5s Plus is the successor to the popular Moto G5 Plus and comes with some enhancements. The mobile was launched in late August and has a price tag of Rs. 15,999. It is the first Dual camera phone from Motorola in India and comes with Dual 13 MP rear cameras with f/2.0 aperture. You can click great portrait shots with this Dual camera phone. Moto G5s Plus is a very well balanced Mobile for the price. The front camera is also better in comparison to the Xiaomi Mi A1 and comes with an 8 MP lens and even a dedicated flash. The mobile runs on the Android Nougat 7.0 and will also get the Oreo update. Powering the Moto G5s plus is the Qualcomm Snapdragon 625, Octa-Core Processor and Adreno 506 GPU. Also, it comes with 4 GB of Ram and has 64 GB of internal storage. The storage is expandable upto 128 GB. Performance – Qualcomm Snapdragon 625, 2.0 GHz. (8 Cores), 4 GB, Adreno 506 GPU. Operating system – Android Nougat 7.1 With Stock UI. Camera – Dual 13 MP Rear cameras & 8 MP selfie camera. Battery – 3000 mAh, Turbo Charging support. Storage – 64 GB onboard, expandable up to 128GB. Connectivity – 4G VOLTE support, Dual Sim. Pros – Great Dual Rear camera, Good Experience. Cons – Not really at this price point. If you are looking for a sturdy mobile to use for the next 2 years, look no further as the Nokia 6.1 Plus comes with some impressive specs apart from stunning design and looks. Notably, the Nokia 6.1 Plus is available on Flipkart exclusively for a price tag of Rs. 15,999 for the 4 GB Ram and 64 GB storage version. 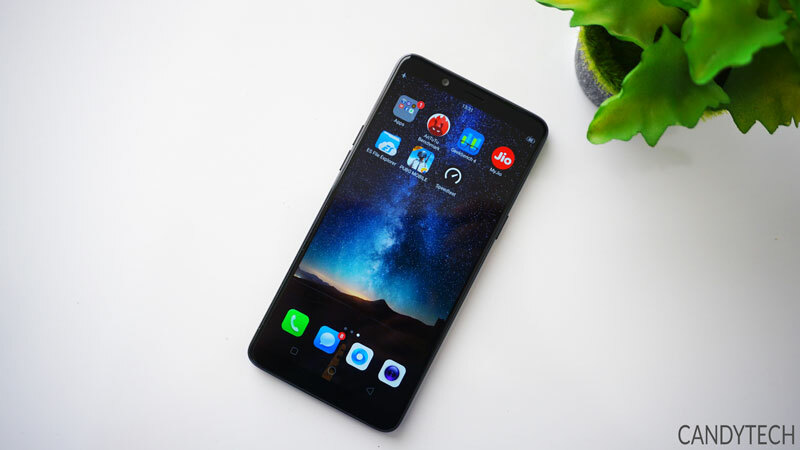 It features a 5.8-inch FHD IPS display with a notch and 2280 x 1080 pixels resolution that offers a great experience for watching videos and reading the text. There is Corning Gorilla Glass 3 protection to make sure that the display doesn’t get any scratches. Powering the mobile is the tried and tested Qualcomm Snapdragon 636 Processor that comes with the Adreno 509 GPU. The phone does have a dedicated micro SD card slot allowing the user to expand the storage up to 256GB. The Nokia 6.1 Plus comes with Stock Android Experience with the latest Android Oreo 8.1 update and will also get the Android 9.0 Pie soon. Also, the optics are above average, as it flaunts a Dual rear camera with 16 MP + 5 MP sensor with f/2.0 aperture and even comes with a decent 16 MP Selfie camera. Another highlight feature is the presence of Fingerprint Scanner, as well as the Face, unlock feature that is becoming common in phones above 10K price. Powering the device is 3060 mAh battery with 5V/2A charging output. The battery capacity is not as large as the rivals such as Moto One Power, Zenfone Max Pro M1 or even the Redmi Note 5 Pro. Lastly, it comes with the USB Type C port and a 3.5 mm headphone jack. Design – Metallic sleek body. Screen – 5.8-inch IPS LCD Display with Notch and FHD+ Resolution. Processor – Qualcomm Snapdragon 636 Octa-Core Processor, Adreno 509 GPU. 4 GB Ram. Operating system – Android Oreo 8.1 With Stock Experience. Camera – 16 MP + 5 MP Dual Rear cameras and 16 MP Front selfie camera. Battery – 3060 mAH, above average battery life. Storage – 64 GB Storage, expandable up to 256GB Hybrid Sim Slot. Connectivity – Dual SIM, 4G LTE 2G, 3G, Wifi, Bluetooth support. Pros – Great display, Performance, and design. Cons – Battery life is not the best in Class. The Motorola One Power rings all the right bells as far as sophisticated looks and high-end specs are concerned. It flaunts a metallic back and an incredible Dual rear camera at the back. The One Power is launched in September 2018 and is available on Flipkart for Rs. 15,999. Powering the phone is the Qualcomm Snapdragon 636 processor with 1.8 GHz maximum clock speed and comes with the Aderno 509 GPU. The phone runs on Stock Android experience and comes with Android Oreo 8.1 out of the box. It will also get the Android Pie update in future. There is a large 6.2 Inch IPS LCD Display with a notch. It offers FHD+ 1080 x 2246 pixels resolution and comes with Corning Gorilla Glass protection. The Key Highlight of the device is its 5000 mAH capacity battery and it even comes with 15 watts fast charger with Turbo Charging support. Also, it features 16 MP + 5 MP Dual rear cameras with f/1.8 aperture and there is a 12 MP f/2.0 front selfie camera. Lastly, it comes with Dual Sim, USB Type C port and Dolby Audio support. Moto One Power is an ideal smartphone for daily usage, office goers and even for students looking forward to long gaming sessions. Samsung’s long list of budget mobiles also includes a new “On” series. However, the Samsung On8 is not as premium as the Samsung J7 Prime but offers decent specs. It is priced aggressively and available for Rs 13,490. For starters, the On8 sports a 5.5 inch Super AMOLED display, with a home button at the chin; that sadly doesn’t have a fingerprint sensor. Powering the phone is the in-house Exynos 7580 CPU and Mali-T720MP2 GPU. Additionally, it offers 32 GB of storage and 3 GB of RAM. Likewise the J7 Prime, the On8 has a dedicated micro SD card slot. For imaging, it offers a 13 MP f/1.9 rear camera setup, and a 5MP f/1.9 aperture selfie camera with an LED flash. Fueling the phone is a 3300mAh capacity battery with the standard charging. Design – Samsung Signature design. Processor Exynos 7850, Octa-Core, 1.6 GHz, RAM 3 GB, GPU- Mali-T830 MP1. Operation system – Android M with TouchWiz. Camera – 13 MP Rear Camera and 5 MP front with f/1.9 aperture. Battery – 3300 mAh, above average battery life. Connectivity – Support for 4G VOLTE. The Asus Zenfone Max PRO M1 is the latest addition and the smartphone will be available on Flipkart from 3rd May 2018. Notably, it comes with some insane specs and at a very affordable price. The phone has got many highlight features such as a speedy Snapdragon 636 processor, 5000 mAH capacity battery, Dual Rear camera, large 5.99 Inch Full HD+ display and stock Android experience with Oreo 8.1 OS. Design – Metallic Build, Great Looks, 181 grams, 8.5 mm. Display Size and Type – 5.99-inch display with an FHD+ resolution of 2160*1080, 401 PPI. Performance – 64 Bit Qualcomm Snapdragon 636 Processor/ Adreno 509 GPU, 3 GB / 4 GB RAM. Operating System – Android Oreo 8.1 OS with Stock Android. Camera – 12 MP and 5 MP Dual Rear Cameras, 8 Megapixel Selfie Shooter. Battery Life – 5000 mAH Capacity Battery With Fast Charging. Storage – 32 / 64 GB onboard Storage, expandable up to 2 TB. Connectivity – Dual Sim, 4G VOLTE, 3G, 2G support. Pros – Excellent Value for Money Deal in the Sub 15k price range. Good Full HD Large display Mobile – Xiaomi Mi Max 2 is in its own league and comes with a massive 6.44-inch display and a monstrous 5300 mAH battery capacity. If you like the large screen size mobiles with a good display, the Mi Max 2 is best suited for you. Xiaomi Mi Max 2 comes with several upgrades in comparison to the older Xiaomi Mi Max. For starters, it has got a better display with 2.5D Curve glass and Corning gorilla glass 3 protection. Powering the phone is a Qualcomm Snapdragon 625 Processor with max clock speed of 2.0 GHz and Adreno 506 GPU. Consequently, the phone offers ultimate gaming and multimedia experience. Also, the large display Phablet boasts of a decent Sony IMX 386 sensor camera with 12 Megapixels resolution. It even has a Fingerprint scanner and runs on the latest Android Nougat 7.0 along with MIUI 8.0. 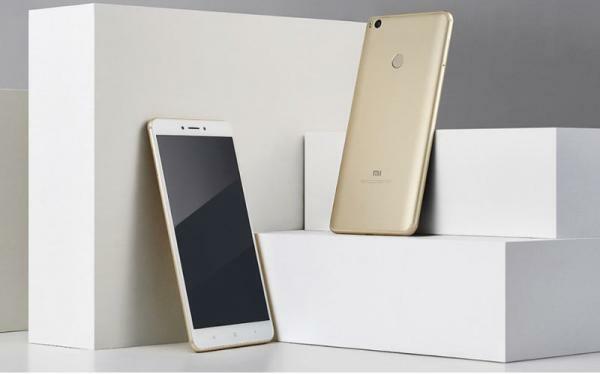 Notably, Xiaomi has even launched a 32 GB storage version of the Mi Max 2 Priced at Rs. 12,999. Design – Metallic Build, Weighs 212 grams, 7.6 mm. Display Size and Type – 6.44 inches Full HD 1080P resolution, 2.5D Curved Glass, 342 PPI. Performance – 4 GB RAM, SD 625, Adreno 506. Operating System – Android Nougat 7.0, MIUI 8.0. (upgradable to MIUI 9.0). Camera – 12 MP rear camera, f/2.2 SONY IMX 386 sensor, 5 Megapixel front selfie camera. Battery Life – 5300 mAH Battery Capacity with fast Charging. (Enormous back up). Storage – 64 GB internal Storage expandable to 128 GB. Connectivity – Dual Sim With 4G Volte and USB Type C Port. Pros – Good Battery Life, Large Full HD Display, Great Performance. Cons – Bulky and Large to Carry in Pocket. If you are inclined to buy a selfie smartphone in the 15K price range, the recently launched Realme U1 is a thought-provoking option. The U1 is available for Rs. 11,999 for the 3 GB Ram and 32 GB Storage version and can buy the 64 GB /4 GB version for Rs. 14,499. The phone comes with an impressive SONY IMX 576 sensor for the front camera and it has 25 MP resolution. The camera has a f/2.0 aperture and a very large 1.8 micron lens. The Realme U1 features a 6.26 inch FHD+(2240*1080) pixels, waterdrop notch IPS LCD display with 2.5D curved glass on top. The phone also comes with Corning Gorilla Glass 3 protection. Powering it is the powerful Helio P70 processor from Mediatek and the Arm Mali G72 MP2 GPU. The phone comes with Dual rear cameras with 13+2 Megapixel support and can is good for day light imaging. The device runs on the Color OS Version 5.2 and comes with Android Oreo 8.1. Also, the phone comes with 3500 mAH capacity battery with 10 Watts charger. Design – Attractive Glossy Polycarbonate Design. Screen – 6.26 inch FHD+ (2240*1080 pixels) IPS LCD display. Processor – Mediatek Helio P70, Mali G72 MP2 GPU, RAM 3GB/ 4 GB. Operating system – Android Oreo 8.1 with Color OS 5.2 on top. Rear Camera – 13 MP +2 MP Dual Rear Cameras. Battery – 3500 mAH Battery Capacity,10 Watts Fast Charger. Storage – 32/64GB, expandable up to 256 GB. (Dedicated Slot). Connectivity – Dual SIM, 4G VOLTE 2G, 3G, Wifi, Bluetooth support. Fingerprint Scanner – Yes at the back. Pros – Attractive design, Great camera, a Fingerprint sensor. Cons – Color OS, Avg Rear Cameras. Great Battery life Mobile with 5000 mAH Battery – Nubia N1 is an extraordinary mobile with 5000 mAH battery capacity and a 13 Megapixel front selfie camera. Moreover, the affordable price of Rs. 11,999 makes it a great deal. Notably, the N1 is available to purchase from Amazon India. For starters, the Nubia N1 uses the Octa-Core Helio P10 processor (with a max clock speed of 1.8 GHz) and the Mali T820 MP 2, 3 GB RAM. Besides, the device has a 5.5-inch display and comes with Full HD resolution with 401 PPI. Notably, it is one of the best battery smartphones under 15K and also boasts of a good selfie camera. Design – It comes with a Metallic design with red circle home button. Display Size and Type – 5.5 inch, Full HD 1080P resolution, 401 PPI. Performance – 1.8 GHz, Helio P15 Octa-Core 1.8 GHz Processor, 3/4 GB RAM, Mali T820-MP2 GPU. Operating System – Android 6.0 Marshmallow (Nubia UI 4.0). Camera – 13 MP Rear Camera & 13 MP front Selfie Camera. Battery Life – 5000 mAH Battery Capacity, Exceptional long battery life. Storage – 64 GB Onboard Storage, Micro-sd Card Support upto 128 GB. Connectivity – 4G, 3G, 2G Support (Dual Sim). Pros – Great Battery Life, 13 MP selfie camera, 64 GB Storage. Cons – Bit Bulky. Huawei has launched the Huawei Honor 7X in December 2017. The Honor 7X is the successor to the Huawei Honor 6X which I have mentioned above. The phone comes with an incredible design with a great surface finish. The major upgrade in comparison to the Honor 6X is the fantastic Full Vision Bezel-less display, ideal for reading the text and watching videos. Also, the phone has a faster Kirin 659 processor clocked at 2.3 GHz, and the latest Android OS (Nougat 7.1) along with the EMUI 5.1. The overall user experience is fluid. Additionally, it offers all the necessary connectivity options like 4G, WIFI, and micro-USB. Noticeably, the performance is good and it scores close to 61,000 on the Antutu benchmark, slightly slower compared to the Snapdragon 625 (Xiaomi Mi A1). In Fact, Huawei has recently launched the Honor 8X in India which will go on sale on 24th October. I have added Honor 8X to our list of Best phones under 20K. Design – Stunning Metallic Design with a smooth finish. Display Size and Type – 5.93 inch, Full HD+ resolution, 401 PPI. (2160*1080), 18:9 ratio. Performance – 2.3 GHz, Kirin 659 Octa-Core Processor, RAM – 4 GB RAM, GPU Mali T830. Operating System – Android Nougat 7.1 along with the EMUI 5.1. Camera – 16MP + 2 MP Dual Rear Camera & 8 MP Selfie Camera. Battery Life – 3340 mAH Battery Capacity, Fast Charging Support. Storage – 64 GB Onboard Storage, Micro-sd Card Supported ( upto 256 GB). Pros – Excellent Dual Camera and Bezel-less display. Cons – NO USB Type C and NFC. Oppo launched the RealME 1 in May 2018 and is available to purchase from Amazon India for Rs. 13,999. The key highlight of the RealME 1 is its snappy performance, thanks to 6 GB Ram and Mediatek Helio P60 Octa-Core processor. Furthermore, the phone comes with a massive 128 GB storage that is user expandable up to 256 GB. It is the cheapest phone in the Sub 15k price range that offers 6 GB ram with 128 GB storage. Also, the RealMe 1 comes with an iconic diamond back design that looks really attractive. For photography, it comes with a 13 Megapixel rear camera with Dual LED Flash and has an 8 Megapixel front selfie camera. There is a 3000 mAH capacity battery that supports fast charging and is sufficient to last all day. Furthermore, it runs on the latest Android Oreo 8.0 OS along with the Color OS from Oppo. Read Full Review. Design – Polyplastic Diamond Cut back Cover Design. Display Size and Type – 6.0 Inches Full HD+ (2160*1080) with 401 PPI, 2.5 D Glass. Performance – Mediatek Helio P60, Octa-Core Processor, ARM Mali G72 MP3, 6 GB RAM. Operating System – Android Oreo 8.0 with Color OS. Camera – Single 13 MP Camera at the Back, 8 Megapixel front selfie camera. Battery Life – 3000 mAH capacity battery. Storage – 128 GB internal Storage, support up to 256 GB micro SD. Connectivity – Dual Sim, 4G VOLTE, Micro-USB. Xiaomi launched Redmi Y2 in India in June 2018. This dual-camera mobile is available at a price of Rs. 9,999 for 3 GB RAM + 32 GB storage, and Rs. 12,999 for 4 GB RAM + 64 GB storage variant. The phone features a large 5.99” HD+ (720 x 1440 pixels) IPS LCD display with an 18:9 aspect ratio. Also, the display has a pixel density of 269 PPI. Powering the Redmi Y2 is a Qualcomm Snapdragon 625 Octa-core processor clocked at 2.0 GHz coupled with Adreno 506 GPU. Whereas, the mobile gets its juice a from a non-removable 3080 mAh battery. For imaging, the phone comes with a dual 12 MP (f/2.2) + 5 MP rear camera setup and has gyro-EIS, PDAF and LED flash. For clicking selfies, the device has a 16 MP front facing camera with HDR and LED flash. The mobile boots Android 8.1 Oreo along with MIUI 9.5 skin running on top of it. Both 32 GB and 64 GB storage variants have expandable storage up to 256 GB. Display Size and Type – 5.99 Inches HD+ (720*1440) with 269 PPI. Performance – 64 Bit Octa-Core Snapdragon 625, Adreno 506 GPU. Camera – Dual 12 MP (f/2.2) + 5 MP Camera at the Back and 16 MP selfie camera. Battery Life – 3080 mAH capacity battery. Storage – 32 GB or 64 GB Internal Storage, expandable up to 256 GB using microSD card. Connectivity – Dual Sim With 4G Support, micro USB port. Pros – Great Dual rear camera and selfie camera, Snapdragon 625. Cons – Plastic body, the display could have been better. Motorola launched Moto G6 in India in April 2018. The Moto G6 is the successor to a highly popular Moto G5. It comes in 3 GB RAM + 32 GB storage, and 4 GB RAM + 64 GB storage variants and is priced at Rs. 13,999 and 16,999 respectively. The mobile is available for purchase from Amazon. The Moto G6 comes with a 5.7-inch IPS LCD display having an FHD+ resolution (1080 x 2160 pixels) along with an 18:9 aspect ratio and 424 PPI pixel density. Additionally, Corning Gorilla Glass 3 is there for protection. The mobile gets power from a Qualcomm Snapdragon 450 Octa-core chipset coupled with Adreno 506 GPU. Also, its 32 GB or 64 GB internal storage is expandable up to 256 GB using microSD card. For photography, the phone features a dual 12 MP (f/1.8) + 5 MP (f/2.2) rear camera setup that comes with PDAF and dual LED dual-tone flash. For selfies, it comes with a 16 MP (f/2.2) front camera with LED flash. The phone runs on Android 8.0 Oreo and comes with a front mounted fingerprint sensor and a Type-C USB port. Powering the phone is a 3000 mAh non-removable battery with 15W fast charging support. Screen – 5.7-inch IPS LCD display. Camera – 12 MP (f/1.8) + 5 MP rear and 16 MP front with f/2.2 aperture. Battery – 3000 mAH, fast charging supported. Storage – 3 GB/4 GB RAM, 32 GB/64 GB storage, expandable up to 256GB. Pros – Dual camera setup, fast charging, almost stock Android Cons – Processor could have been better. 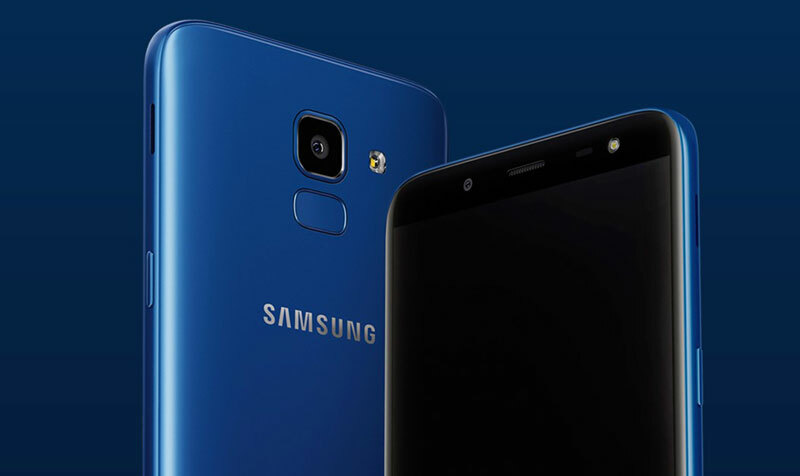 Best Samsung Mobile Under Rs 15000 – Samsung Galaxy J6 / On6 was launched in India in May 2018. It comes in 3 GB RAM + 32 GB storage and 4 GB RAM + 64 GB storage variants and is priced at Rs. 13,990 and Rs. 16,490 respectively. The mobile comes with a plastic body and features a 5.6-inch Super AMOLED HD+ (720 x 1480 pixels) display along with 18:9 aspect ratio with 294 PPI pixel density. Powering the Galaxy J6 is an Exynos 7870 Octa-core processor coupled with Mali-T830 MP1 GPU. For photography, the phone has a 13 megapixel (f/1.9) rear camera that comes with panorama, HDR, and an LED flash. For selfies, it has an 8 MP (f/1.9) front sensor with LED flash. The device runs on Android 8.0 Oreo out of the box and gets power from a 3300 mAh non-removable battery. Additionally, it has a fingerprint scanner located at the back. Also, it comes with features like a headphone jack, Wi-Fi, FM radio, and a micro USB port. Screen – 5.6-inch Super AMOLED HD+ (720*1480) display. Camera – 13 MP (f/1.9) rear and 8 MP front with f/1.9 aperture. Storage – 32 GB/ 64GB, expandable up to 256 GB. Connectivity – Dual SIM, 4G LTE 2G, 3G, Wifi, Bluetooth, micro USB port. Pros – Good battery life, Android Oreo. Cons – No dual camera setup, plastic body. Humble advice, go through detailed specs, and more reviews before ordering online. Hope the article helped you make up your mind and choose the best smartphone for you. Also, read the pros and cons carefully. Some mobiles are bulky others have poor battery life, choose what you believe is right for you. Value for Money, 2. Specs, Features, OS, Camera Quality, battery life & User Experience, 3. After Sales Service and Reliability. Specs and Camera Resolution is not everything sometimes a 13 MP camera can take better images than 23 MP. The megapixel is not everything, Apple iPhone 6 has an 8 MP camera and still, it takes great pictures. The aperture size, processor, software optimization, lens used can make a lot of difference. 10 Best Smartphones Under Rs 10000. The BEST Selling Mobiles in India below 20K. I ‘m pretty confused in buying one. Could u help a little. My req. are as follows! 1) Good processor – No lags at all shld b there whilst multitasking. 4) battery : 4k/5K; 3k also ok; req longer battery life. sir which is the best camera phone under 15000 rs ? Do not buy LeEco/Coolpad phones (both brands are owned by same company). The phones have loads of quality issues and the company is not honoring the 10 day replacement guarantees. Warranty service is also sketchy and the service centers do not have parts. I got a defective phone and requested replacement under the 10-day guarantee. It has been 60 days and I have had no updates. The call center is useless – they have no information and no capacity to escalate. Email support never responds. All this while they have enough stock on hand to sell to new customers. This is not an isolated example. If you search forums there are 100s of users complaining about the same issue. This company should be kicked out for defrauding customers. tl/dr: LeEco/Coolpad = Buyer Beware. Sir i want super best mobile under 15k. Is Moto g5 plus is a best option. Can you please suggest me the best mobile???? Hi I am really confused if I should go with redmi note 4 or any Motorola phone suggest pls! Which is better! Main need is that it could support huge games without overheating. please suggest a with good processor,camrea & battery life & FHD screen under 15k. I need a good phone with best camera, battery, 5.5 inch display minimum. You can buy the Oppo F1s or the Moto G4 Plus.. I waNt a 4G Android mobile with all the latest features, best camera quality (front nd back), 2gb ram, big hd screen, nd mobile should ni lagg? in the range under 15k…! Can u suggest me the best mobile….! Hello sir i’am confused about mobile my budget is 12000 witch mobile can i buy all rounder mobile. Like camera sound quality display. How about redmi note 3 or le 2 or u say.. ..
sir i want to buy smartphone under 10000 but iam confused , i want best camera , fingerprint sensor , display above 5 inches and atleast 2 or 3gb ram for gaming under 10k please suggest me…..
sir please tell me the best mobile for taking clear pictures (front and selfie) under 12k…. I want to buy a mobile with goods features under 100000. But I dont want to buy any chinese product. Could you please suggest any good mobiles with latest features. hello sir,i want to buy a new mobile.it should dual 4g slot sim,thin mobile,should not be a hybrid sim,should be a separate slot for sd card,larger screen size,range 10000 to 15000.and marshmallow os version. Sir, i want purchase up to 12000, but also want tp marshmallow os with expendable memory card slot . i want camrera 13 To 16 & Front Camara 5 To 8 Mega pixel , display 5.5 , slim pieces. so pl suggest me best mobile for me , finger print scanner . I have a Windows Mobile it’s very problematic. if yes, so please tell me how . Dear kanuj, thanks for advice I like moto g4 plus but it’s sar value is more.phone with high sar value r safe for using? How can we keep ourselves safe from that harmful radiation. You just put lenovo k4 note , honour 5x , moto g turbo I don’t know why the hell you didn’t included le1s or le2 ??? Sir, I want to spend upto 12000 but also wants marshmallow OS with expandable memory card slot. so plz suggest me best for me. if finger print scanner provided then it works like a cherry on a cake. Should i buy moto g4 plus or xiomi mi max or redmi note 3? Please suggest! which phone is best under Rs 16000 SAMSUNG,LG,XIOMI OR OTHER ? Sir, I want to buy a smartphone, which one is best, I prefer RN3, but no external memory will be added, then what to do? Redmi Note 3 is better ! Sir, i want to purchage xiomi erdmi note 3 3GB Ram, but nowhere is available.plz help me from where i can purchage it. I want to buy smartphone in between 15000rs to 17000rs with best camera, should be atleast lollipop OS,full hd display with gorilla glass,good battery life(atleast3000 mah),fingerprint scanner,fast charging,RAM is not issue but phone should handle multi tasking and high end games smoothly without any lag, internal storage is not an issue if expandable…..
i am buying a phone but i am in a problem. ie, coolpad note3 plus or meizu note3 or asus zenfone max WHICH IS THE BEST TRUSTED PHONE…? Sir, suggest a smart phone, price below Rs15000 with the following requirements. Camera with good video capability, good voice recording while taking video, 32gb ram, 4G, with OTG, micro SD provision. Moto G4 plus is reportedly getting heated and stops working while taking videos. My usage is more for videos. Then do you suggest Moto G4 plus? sir, RED MI NOTE3 32 GB, LE2, MOTOG PLUS 32 GB and finally recent launch honour 5c , Which is the best in all department? hi sir thank you for the reply, in moto g4 plus or asus zenfone max which you would choose. Which is the best camera phone under 15000 along with the specification? You can go for the Moto G4 plus ! xiaomi redimi note3,one plus x, moto g plus 4th gene,samsung j7. go for the 32 GB and 3 GB variant in long run you will be happy with your decision. Thank you sir.how is the call sound quality in moto g4 plus.does heat affect the mobile.mobile is available only in online or shop also?. does moto g4 plus has any other negative. i want to buy under 12000 mobiles. i ave one problem which mobile is best. i am confused. sir, did redmi note 3 support SD card? can we connect the phone to TV as USB? I want a good rear and front camera. And a superb phone in terms of processing. What do you suggest sir? G4 Plus looks a better deal ..
Is it good to buy redmi note3 in 12000 budget ? .. Or any other better options is there? .. Tell me fast.. Please..
Sir please suggest me a phone within₹15000 with good camera and supports 4G connectivity. Dear Sir, which mobiles is instant click and best camera quality under rs. 15000 or 10000. You can buy Honor 5X , Samsung J7 2016 and redmi note 3 .. Both are good phones , OnePlus X scores high on design and front camera while redmi note 3 has a better battery back up. I want to buy a smartphone in brand till 15 whch one i bought ? Hiii..which phone is better in between rmn3 &honour 5x..
My budget is under 15k. I want phone with minimal heating issue,good battery life as i surf net regurarly, should not lag. Rn3 or k4 note or honor 5x?? haayy i want 2 buy good; most reliable,best features smart phone within 14 to15k. plez suggest? you can buy the Oneplus X or the Huawei Honor 5X or Moto G turbo ….. Honor 5X is a good option and even the Redmi Note 3 , heating can happen in any smartphone , even the Samsung S7 at times due to many reasons. So don’t make your judgement about the RN3 from that. thinking of galaxy a5 ???????? the 2016 version or the older version ? Sir I am not able to get redmi note3 ..
Redmi Note 3 is good…. I want a phone which is good for gaming, has expandable storage and a good look, any suggestions? No it does not have gorilla glass but it has some protective covering on display , Xiaomi has not shared the details …. I need a mobile with long battery life, infrared, HDMI, gorilla latest protection glass… can you suggest such mobiles? I ll purchase new mobile under 13k..
Sir I m confused to redmi note 3 or Lenovo K4 note, can u please tell me which is the best phone? Coz redmi note 3 is only 32 gb internal storage n that is not inough and the other hand the Lenovo k4 notes camera quality is not gud in comperision of redmi note 3. So please suggest me which is best for me? Camera wise both are okay and not much difference , for gaming redmi note 3 , for sound and general work K4 Note …. sir I want to buy a phone under 15K whic h have 3gb ram & good processor with excellent camera quality. redmi Note 3 can be a good choice ! I am confused between moto g turbo, moto x play and lenovo k4 note.. what would you suggest? Sir ji,I want a phone under 13000 which is 5.0 in screen size or higher and good camera quality at back and with front camera with flash and the speed and processor of phone is good and the phone will look good. Sir ,i want a slim phone possessing gud camera,gud battery between the range of 12-15 so plz suggest me a phone of m wish .. I would like to know that which smartphone comes into your mind with that between 12 K to 15 k.
Please tell me the best I can get between the range of mention. overall good performance & looks & trusted brand. in next 15 days it is expected to launch..
when will be the k4 note available in flipkart……? Does otg support work in moto g3. Moto G 3 turbo or even the Moto X play can be bought discounts are ON Flipkart these days. Moto G turbo can be a good option based on your requirements. What about Lenovo K3 Note? What about K4? How it is? good to buy? For your budget you should go for the Honor 6 or the Moto G turbo as they have better camera , build quality and performance…. What abt lenovo p1, did the mobile really not hvg clearity display and camera also not good, I saw in many review is it true? I want to buy a smart phone under 15000 pls suggest me. my needs are Good camera quality both for front and rear Selfi camera quality. good processor and battery life. i want to buy a branded smart phone upto 10k. sir please sugges me that which is best phone. I have a budget of 12k. My necessities are a great battery (around 24 hours with wifi on) and the phone mustn’t lag. I’m not interested in micromax and other similar mediateks as they have a life of only around 6-8 months. And the battery must be removable. Please suggest a (or a few) good phone(s). I want a mobile which supports cdma in one slot and gsm in one slot, under 15k. Can you tell me which one I purchase? Which has 2 gb ram and atleast Qualcomm Snapdragon processor, not mediatek. I want to purchase moto g3, it supports cdma sim in one slot? No Moto G3 does not support CDMA technology it supports WCDMA which is basically GSM. For good camera and battery Infocus M530 or the Asus Zenphone 2 are great options, even Moto G3 with 2 GB RAM is a good deal. 3 and a nice processor that doesn’t hangs. 4Which one to go with J7 or Sony C5 ultra dual Or Mi4i ? any otherwhich suits my requirements? OnePlus 2, Moto X Play, Zenfone 2 4 GB Ram, Honor 7, OnePlus 2. Admin plz suggest me a phone in range 10000 with stylish looking..
3. Internal memory 16 gb and can be expandable..
Admin suggest me a phone under rs15000 best camera 13 mp and 400 ppi ? I want to buy smart phone @ range of 20000 below with good front and back camera quality. Without hanging with good screen quality. I want a phone under 15000 with good camera quality and a nice processor that doesn’t hangs.Also should be slim phone not bulky. Which one to go with J7 or moto g3 Or any other which suits my requirements? 3. uptodate so that every apps can be uploaded. Nader you can also get the Moto G3 with 2GB RAM a bit out of your budget but worth it…. my budget is 11000. lenovo k3 or asus zenfone 2 laser which is best…?? Kanuj sir, I want phone with good camera, full hd & protected display, strong processor under 10K. Once I had sorted following phones but couldn’t pick one for these doubts. 4.Meizu m2 note & 5.coolpad note3 don’t know much about both. Do these causes really exist. Please suggest me. which one should i go with ???? sir, my budget is 11000 rs. I want a good mobile with best sound quality, good camera and nice gaming experience. please tell me which i go for?? K3 note is good phone heating is always a random thing can happen with any model..
samsung grand max, motog2,honor 6.. which is better with long life use…? help me…….. I want to buy an android phone Rs 13000.Tell me which Company is best? planning to buy xiaomo mi4i..what’s ur suggestion? how is overall quality n performance? if u hv alternative product to suggest den plz do..m looking for long life of handset too..
Hi…… I have to purchase a phone with good camera quality and , y budget is 12000 (maximum). I m photo lover and keep clicking pics where I go. But I m game lover too……. tell me a phone which sound more good with camera and processor as I was using samsung galaxy s duos 1 earlier. I dont want samsung in my pocket again. Which phone is good Samsung j5 or grand max?? Camera specially? I want a phone with good battery life,and camera and better performance wise than Sony Xperia M.
Acc to battery life, camera and performance? Sir i m cnfused to pick a best phone at price near about 15000…. Options are Honor 6, Mi 4, mi 4i , samsung grand max. Among these Honor 6 is the best in my opinion.